← The Shidlers Comment on their Jacaranda Experience!! 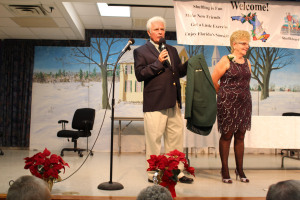 I have a hunch that a Male FL Shuffler will soon be presented with his Green Jacket!!!! The crowd listened patiently as MC Presenter Earl Ball set the stage for the GRAND MOMENT; the moment all of us had been anxiously awaiting. 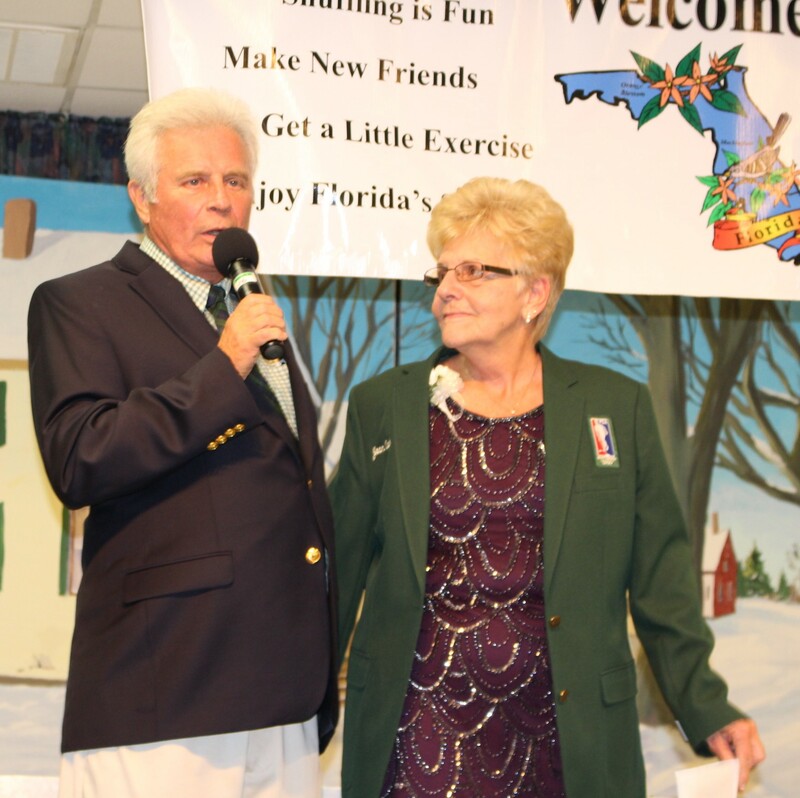 Joan had worked for 22 years to amass what no other modern day female shuffler had accomplished, 1,000 FSA points as a Florida Shuffler!! 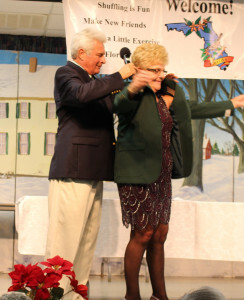 As the jacket went on, the audience responded with applause. Earlier every person wishing to offer congratulatory remarks, AND THERE WERE MANY, did so. 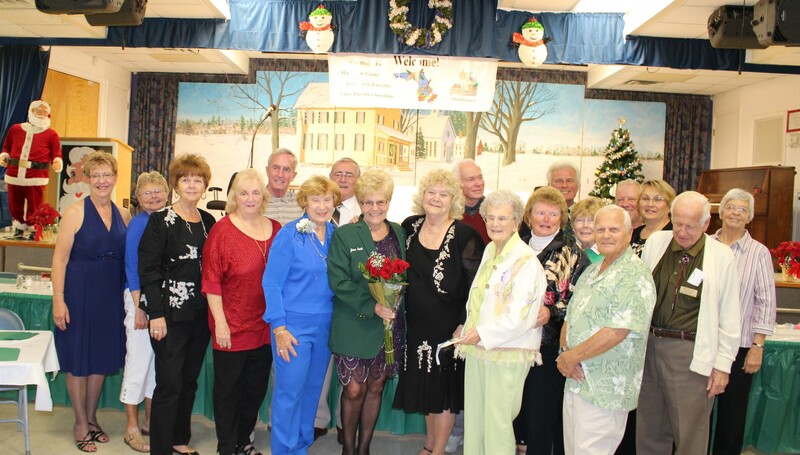 The location; Betmar Shuffleboard Club in Zephyrhills, FL; 175 supporters/admirers of Joan Cook had come together to pay tribute to Joan’s most significant accomplishment!! Not surprisingly Joan was emotional; not surprisingly Earl did an outstanding job of standing in for her!